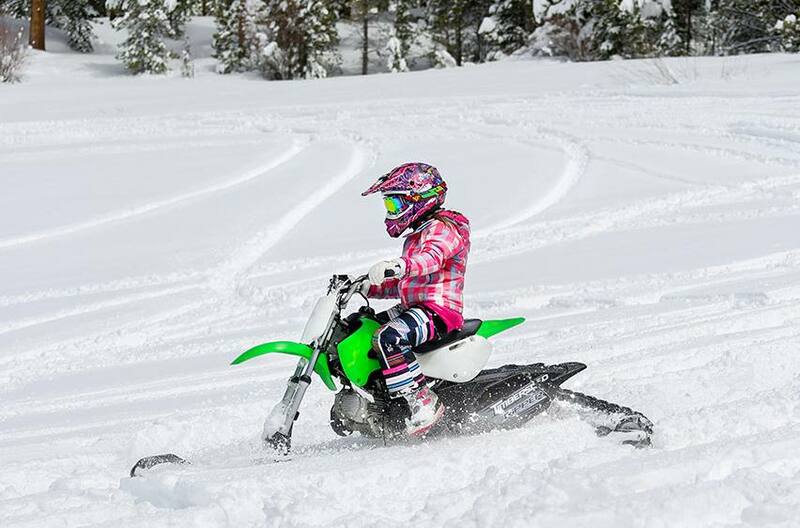 The ST 90 Ripper lets the whole family experience Timbersled riding on the 110cc dirt bike in your fleet. This versatile system has a low ride height for outstanding performance and nimble handling. 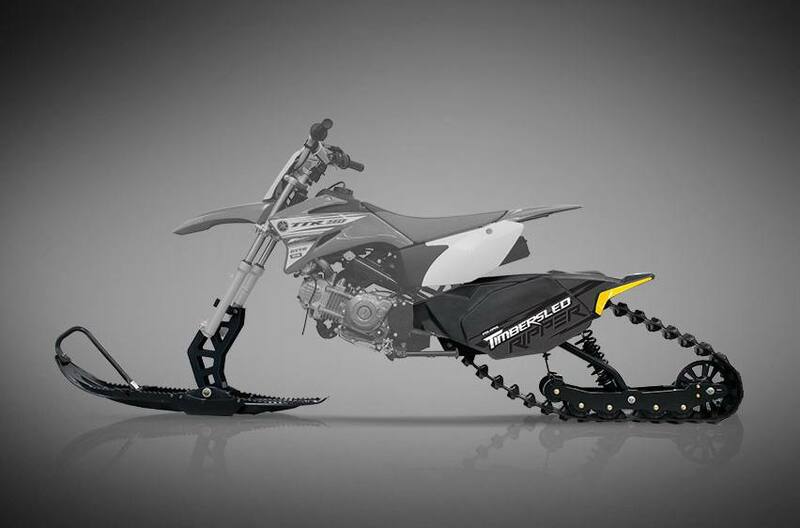 The low-friction undercarriage works on any surface so you can ride year-round, on snow and dirt! Ripper Ski: The Ripper Ski features a deeper upper and lower keel design to allow the rider to be confident riding in both loose and hardpacked snow conditions. This ski is modeled after the Polaris Snowmobile Gripper Ski. Ryde FX Shocks: When it comes to performance, the ST 90 Ripper doesn't hold back. This kit uses the full size shock from the 120 RAW. These custom valved RYDE FX MPV Motion Control coil over shocks are highly capable and provide a great ride in any terrain for all riders. 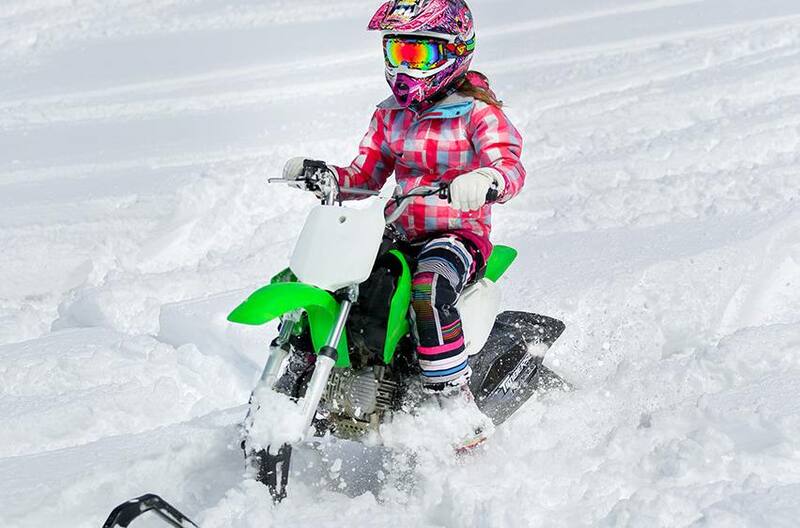 No Snow Required: The ST 90 Ripper is a highly capable, innovative system design you can ride in any condition, from deep snow to dirt. This kit comes stock with a hyfax free, bogey wheel rail and a low friction undercarriage design that allows the track to perform well in any condition. Quick Install: Easy install - convert from dirt-to-snow riding in under 1 hour. 90 x 6 x .75 in. Front: 13 lb. ; Rear: 55lb.